Increased Productivity with Core Setting Machine Technology from EMI. 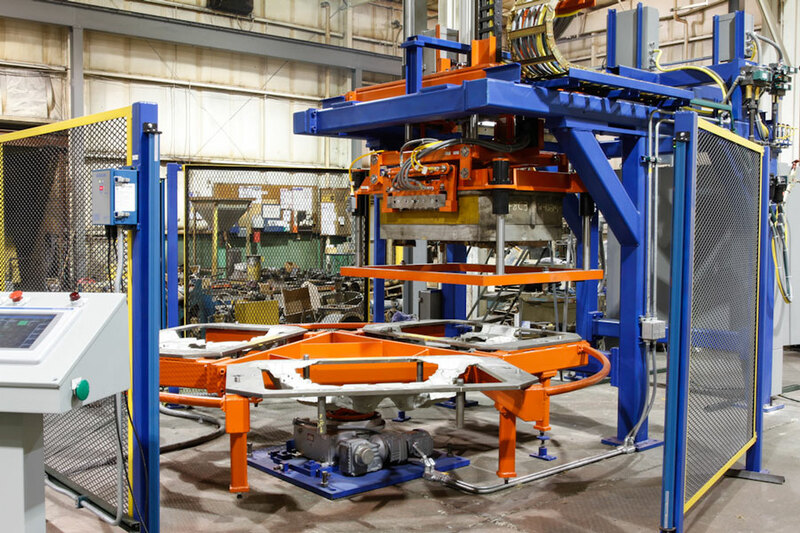 EMI provides flexible core setting solutions that offer quick ROI, improved casting quality, reduced labor hazards, and increased casting production. Automatic core setting equipment can be integrated into just about any molding system and brings immediate benefits. Using linear or rotary actuators or robotic collaboration; EMI’s core setting solutions can help your foundry become more productive. Contact EMI’s foundry experts help you find the best solution for your mold line and experience immediate improvements to your bottom-line.